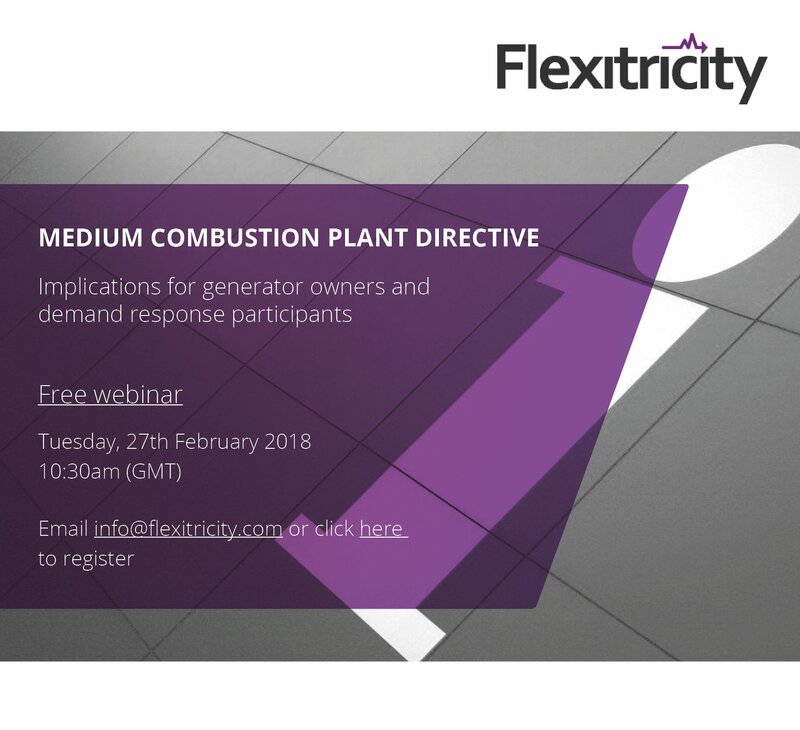 Dr Alastair Martin along with an expert panel of Flexitricity’s engineers and account managers will be discussing the implications of the MCPD for generator owners and demand response participants. The material will cover the impact to your business, possible solutions and inform your decisions on future Balancing Service and Capacity Market contracts. Presentation will be followed by a Q&A session. The Medium Combustion Plant Directive seeks to reduce air pollution by controlling emissions from medium combustion plants, which include both generators (with a rated thermal input between 0 – 50 MW) and boilers (with a rated thermal input between 1 - 50 MW). The Government implemented the MCPD’s requirements using a Statutory Instrument (SI), which completed its passage through Parliament on 24th January.